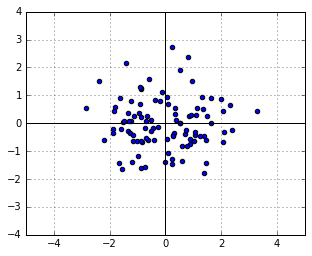 Four Years Remaining » Blog Archive » What is the Covariance Matrix? It give me a meaning - what is eigenvector of the covariance matrix, or otherwords - what linear transformation the covariance matrix provide? Shouldn't the left side of the equation (2) be: P(A^-1 y) instead of P(y) directly? And then how to get ride of the A^-1? The equation expresses P(y), not P(A^-1 y). Excellent article. Gives a very nice intuitive explanation, thank you. Hi, I am really a fan of this explanation. I find these kind of connections between statistical thinking and other math (linear algebra) strengthen my intuition the most. Are you aware of any other sources or blogs that drill down into concepts like this from a linear algebra point of view? 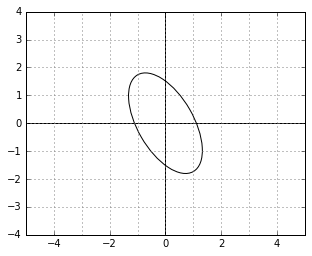 Intuitively, the norm (“importance”) of the dual vectors along the directions in which the data was stretched by \bf A becomes proportionally larger.. Think of it this way. Suppose you measured your data in kilograms and changed to pounds. Suppose you had a dual vector (5). Originally it meant (5 units/kg) and, say, its norm was equal to 5. After the switch to pounds, the dual vector (5) will be denoting (5 units/kg), which is equivalent to (10 units/kg), and, consequently, its norm should be equal to 10 (if you want to preserve the physical meaning of your computations). 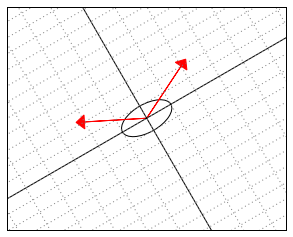 Consequently, the norm of the (numerically the same) dual vectors has grown in the new coordinates. 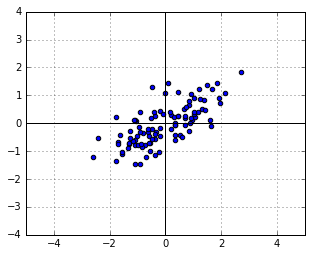 At the same time "semantically the same" vectors got squished (to preserve the norm they had before). I could not understand the statement "So, in some sense, if v-s are “vectors”, w-s are “directions, perpendicular to these vectors”. As per linear algebra perspective if we project v upon unit vector w, then v- is perpendicular to w, I can not see w as perpendicular to v. Please explain. The wording is too vague here, indeed - the term "perpendicular" (should have been "orthogonal") was meant to refer to the illustration before it, where you have two vectors with an inner product of zero. If one of them were taken to be the "primal" vector, the second one would correspond to the "dual" one. Of course, whenever the inner product is non-zero, we should not say that "w is orthogonal to v". The key idea is just the fact that the vector w can only "act" on v via the inner product. The components of a primal vector denote the "amounts of movement" along each axis. 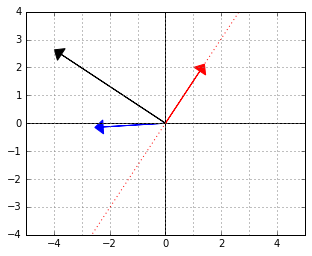 The components of a dual vector denote the "price (or weight)" assigned to movement along each axis. "Amount" and "price" are "semantically orthogonal" in the sense that you may only meaningfully multiply them together, not add to each other. 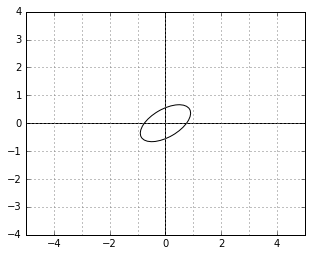 The eigenvectors of the data covariance matrix can be thought of as the local, new « coordinates « while the eigenvalues tell you how the space curves. 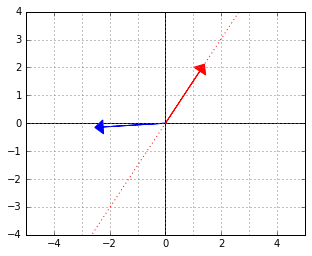 For example, if the covariance matrix is constant in the parameters, the space is flat, since the axes are scaled by the same amount for different parameter values, and this is not so for non-constant covariance matrices.